Olly wrote in November about the development of the onboarding guide and how we had split the process of onboarding services into stages. I’m writing today to elaborate on the 6 stage onboarding process and the governance in the programme that exists to help services. The purpose of the onboarding guide is to make integration with GOV.UK Verify as easy as possible for teams working on digital services. Each stage in the onboarding guide has a defined set of outputs, which we need a service to meet before moving to the next stage. This approach ensures that both the onboarding service and the GOV.UK Verify team get a clear picture of what’s expected at each point in the process. 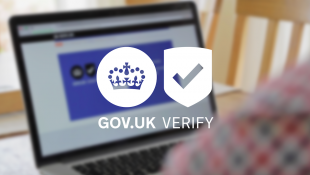 What's more, everyone can be confident that GOV.UK Verify is being applied in the right way. The onboarding guide also includes information on what we expect departments to do to complete these outputs and how the GOV.UK Verify team will help. Engagement leads will help services achieve the required standard by offering guidance. This is in addition to appropriate expert support from across the wider programme when necessary. For example, the research and design team may help with regard to developing a service’s user journey incorporating GOV.UK Verify. At the end of each stage we hold a gate review. This is when an engagement lead presents a service’s outputs to the subject experts within the programme to ensure a service is on track to progress to the next stage. Sometimes constructive conditions will be fed back to a service requiring some iteration to their outputs for a gate. Our aim is to help services be in the best position for integration with GOV.UK Verify and ensure that nothing is missed. This is why we’ve introduced gate reviews to analyse outputs throughout development. So far we've found a need for services to complete a certain number of steps, in a particular order, to ensure they are in a position to integrate successfully. We want to avoid nasty surprises. The benefit of this 6 stage process for services is that when it comes to the big move into production, and then beta, we are prepared for making that transition together. Progressing through the 6 stage process is a joint effort and feedback received so far suggests it has had a positive effect on service development. We are continuing to review and iterate the process based on our ongoing work with departments and feedback received from services using the guide. We appreciate this input.